If you have naturally curly hair then you probably have a bitter-sweet love-hate relationship that has you loving your curls some day’s and hating their uncontrollable lions mane-like days. If you opt for curly hair then you probably love the volume and texture that curls offer, but perhaps you are looking for some fresh new styles to spruce up your curly hair. Regardless if you’re a natural, have salon curls, or curl your hair with heating products, there are plenty of fantastic hairstyles for medium length hair that is also curly. 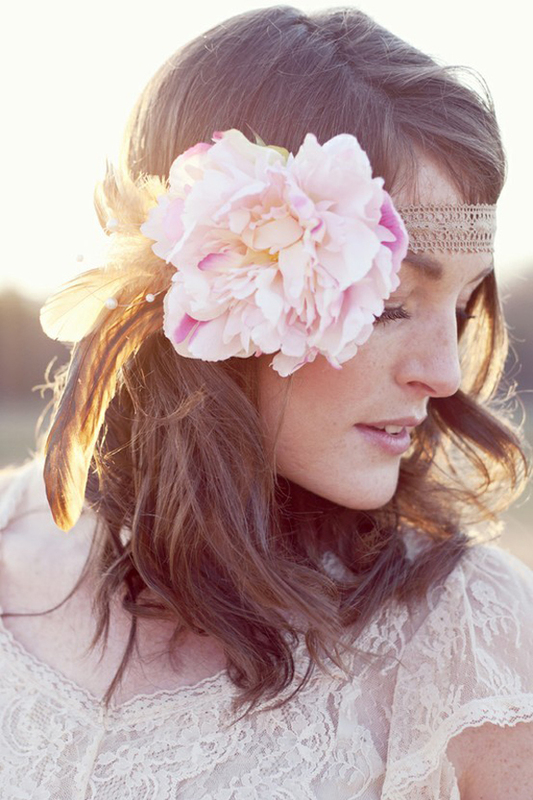 Flowers, braids, and naturally wavy or curly texture define the boho look. For curly hair that you just want a quick and easy but still beautiful hair style you can simply wear a headband or do a quick side braid and your curly hair is tame, styled, and chic. Boho is simple and looks great on medium length hair with great curly texture. The texture of the curls really frames your face when you pull your hair back in a low ponytail, high volume, and curls pulled out around your face. If you want to polish off the look than simply pull those stands back for a curly voluminous ponytail that takes you from day to night effortlessly. Vanessa Hudgens knows how to make curly hair look effortlessly beautiful. A side part with vintage curls with a medium length bob is a fantastic look. It is particularly chic to have the “S” wave, but you can keep the waves looser for a modern look or more structured for the 1950’s glam vintage curls. A loose side bun is gorgeous, feminine, and flirty with curly hair. Simply pull your medium length curls back into a low side bun and style with a flirty hairpin or headband. Keep it loose so that the textures of the curls are really on display. This curly side bun with headband is simple and gorgeous.